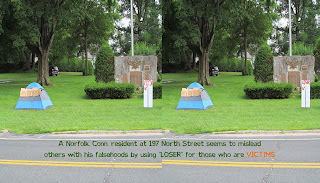 This man makes undo trouble and erroneous accusations unto "The Houseless" depicting "The Houseless" are actually part of the Occupy movement and/or seek freebies. The being pictured above once stated that his wife is employed with Visiting Nurse Services of Connecticut. People can only pray and hope that his wife isn't nasty, mean and evil as him with those who need her help. 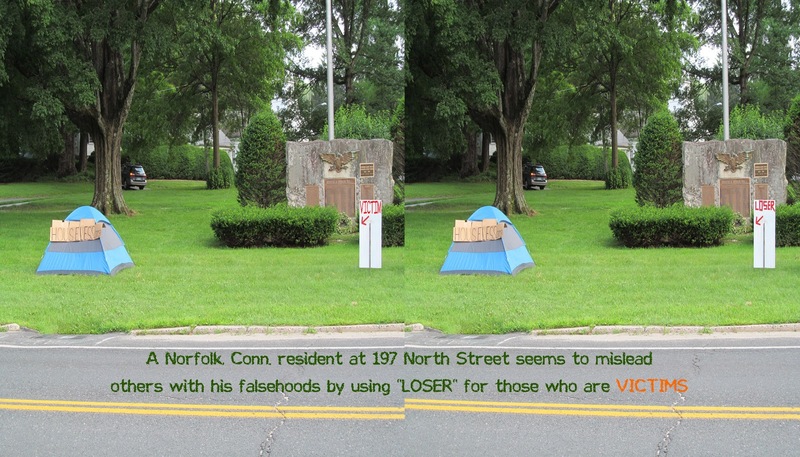 Click the text below to be taken to the site bringing forth unto you the real Norfolk, Connecticut and how they actually treat others. Mind you, it is still developing, so check back! Pray for the man who repeatedly, unjustly and without welcome, brings harm to those who are "Houseless"